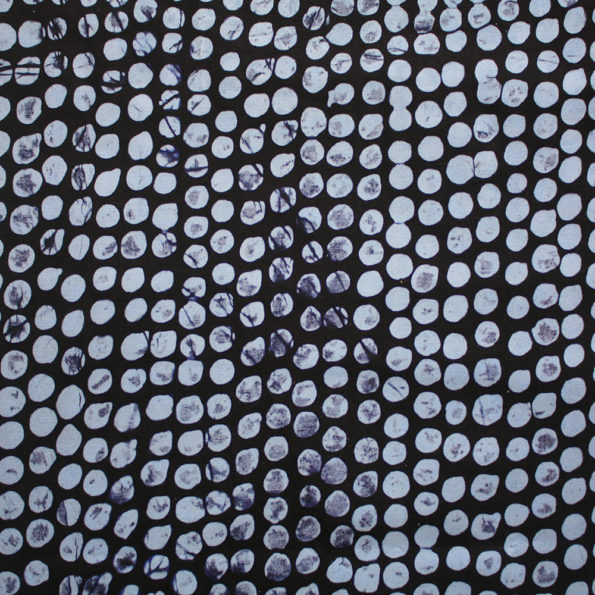 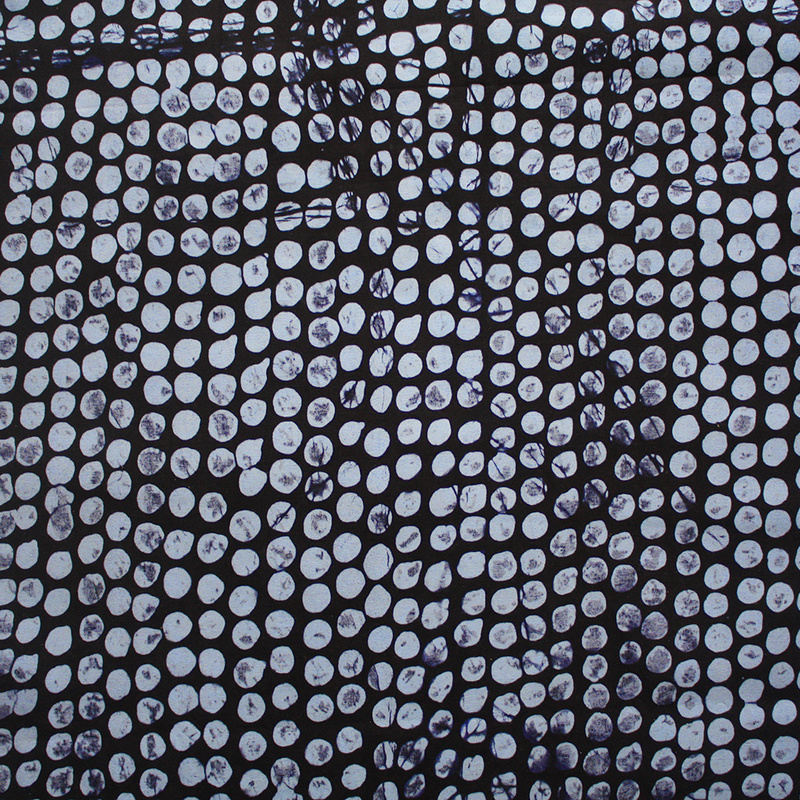 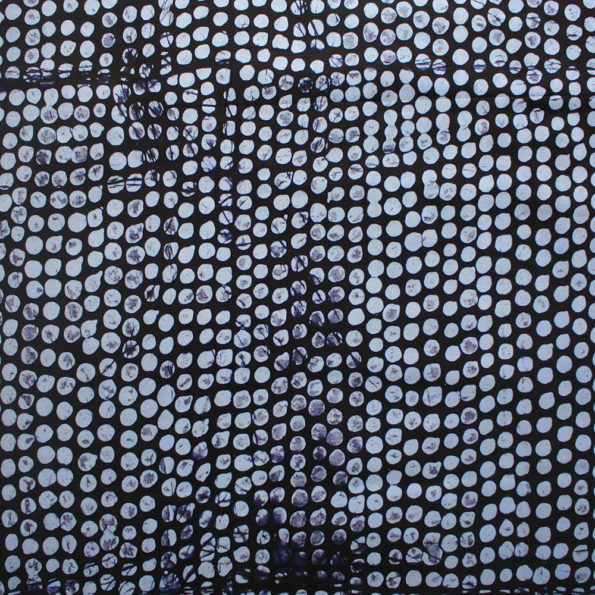 An abstract dot and grid batik from Nigeria. 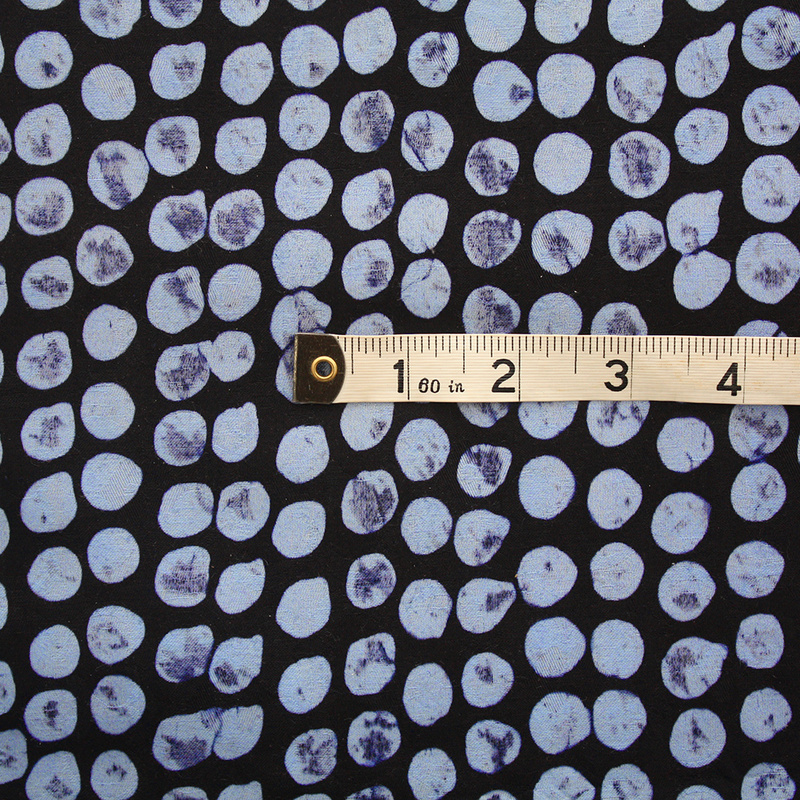 The fabric has light blue dots against a blue (almost black) background. This batik fabric is handmade in Southern Nigeria, West Africa. 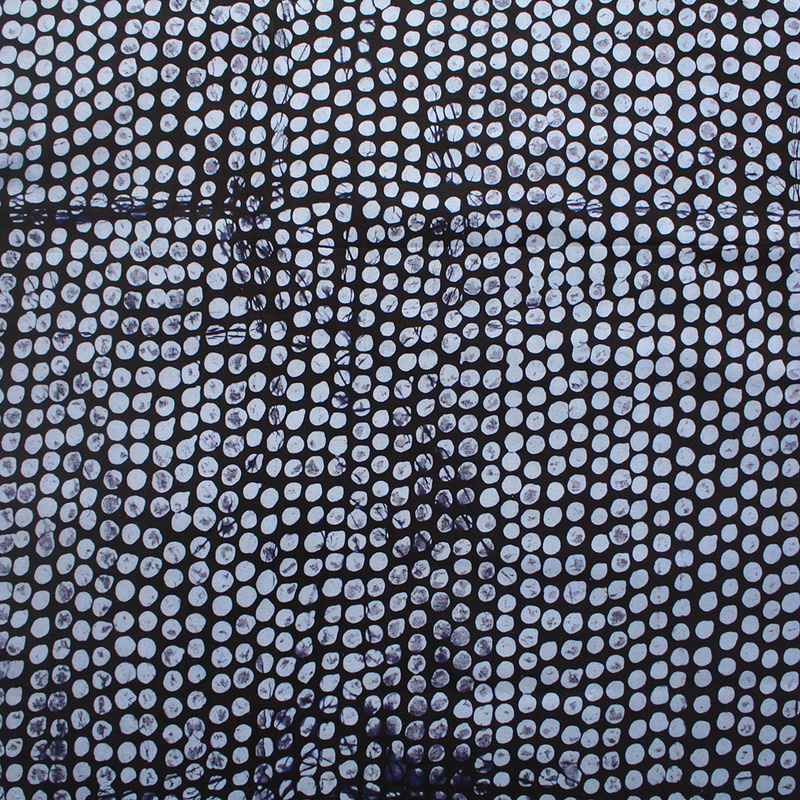 The design is a modern take on traditional batik fabric. 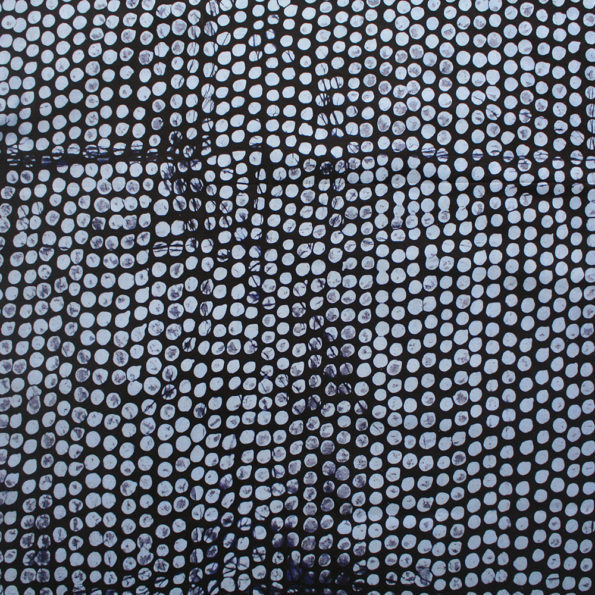 The fabric is made using 100% cotton and is suitable for a wide range of sewing projects. To get an idea of the scale of the patterns, a tape rule is shown in the last images with units shown in inches.